May will offer you several niche events and international holidays that will definitely help you to increase your conversions. Are you lacking of inspirations for new designs? Are you searching for some fresh ideas to restyle and custom your online store? 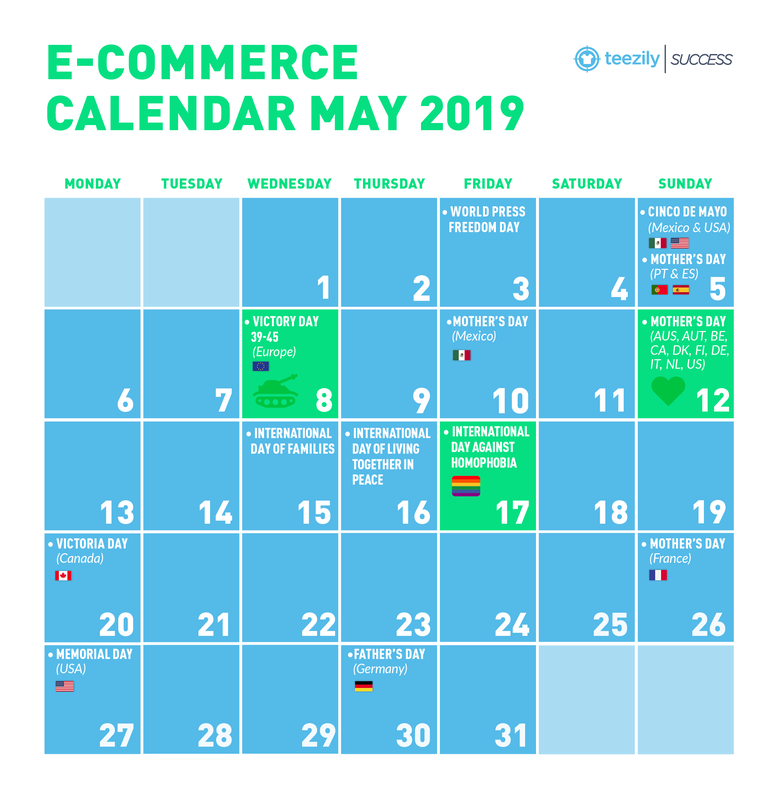 Take a look at our 2019 May E-Commerce Calendar here below ! We might have to state this at the beginning: people often mistake Cinco de Mayo for a celebration of Mexican independence, but they are wrong. 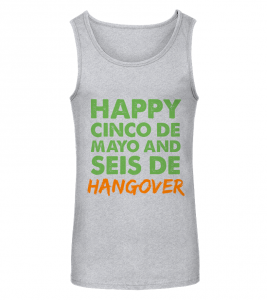 This day is the annual celebration of Mexico’s unlikely victory over the French in 1862. It became a cultural phenomenon all over the United States and, of course, Mexico. .It’s a time to celebrate Mexican culture and, for some, an opportunity to drink a lot of margaritas and cerveza and eat tacos and burritos. 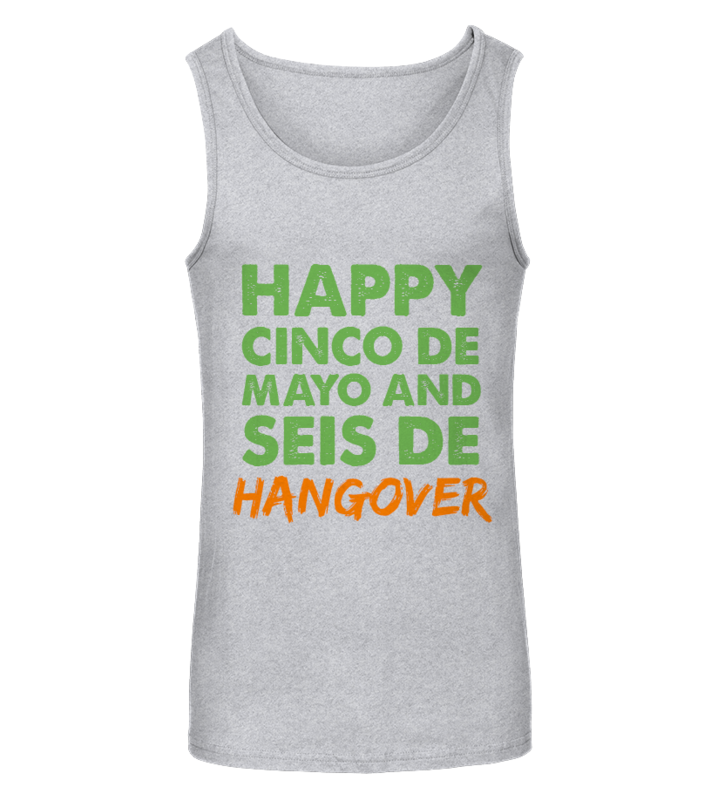 Get your products a fun look with eye-catching designs, spanish slogans and bright colors. Mother's Day(s) is approaching in several countries and as an eCommerce seller, you should take complete advantage of the power of keywords. “MOTHERS DAY GIFTS” would be the simplest and most used search term a few days prior to the day. By leveraging specific keywords you have a high chance of increasing web traffic to your campaigns, and as a result more sales the short term. For example, during Mother’s day, while “Mothers” and “Mum” showed up in 36% of keywords, there are 64% support terms that included: “ideas”, “best”, “unique”, “cheap” and “wife”. Did you know that “Cheap Mother’s Day” gift is searched over 3000 times/ month? We kindly suggest you to name your marketplace products with the proper keywords in order to have your campaigns in the first pages ! The month of May is expected to be the peak of sales in the first half of the year. So brace yourself!